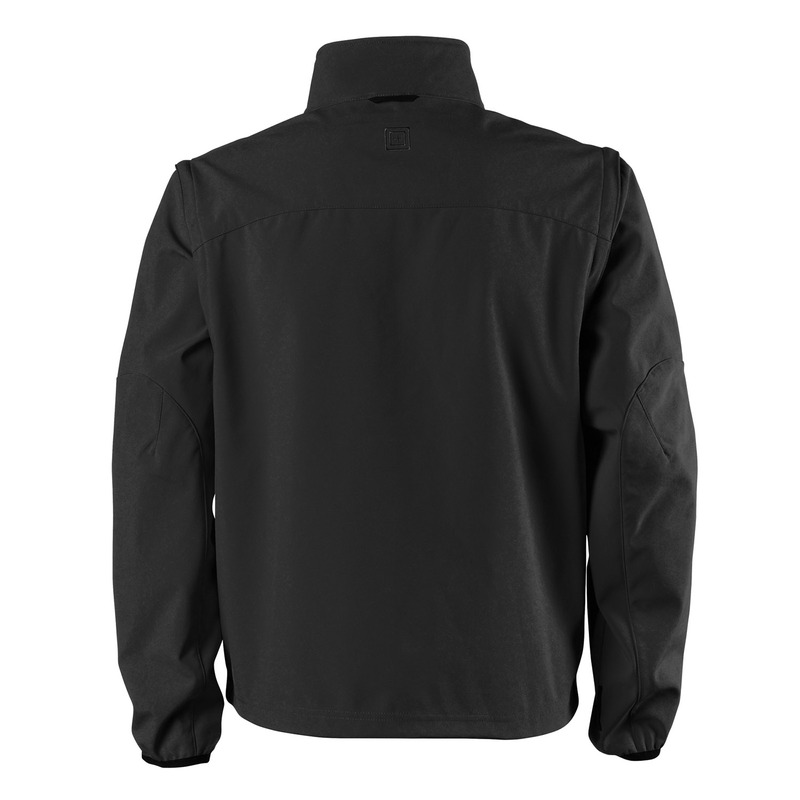 Built for patrol duty wear, the Valiant Softshell Jacket from 5.11 is ideal for windy and rainy conditions. Wind-resistant protection shields you from the elements, all in a lightweight application that guarantees mobility in any direction. Detachable sleeves permit you to adapt to vacillating climates for multi-weather versatility. 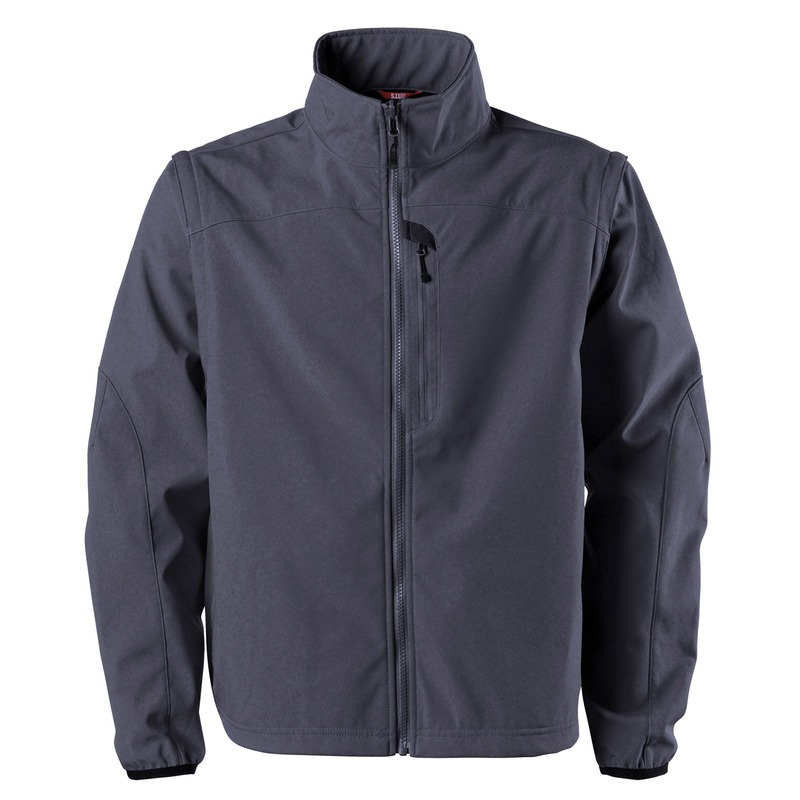 Side zippers not only provide you with ventilated comfort but also with speedy access to your sidearm and equipment. Tricot-back chin guard safeguards you from abrasion, while tricot-lined handwarmer pockets offer convenient warmth for your hands or immediate storage for your keys, ID or cell phone.